Downloaded book but can’t read it because it’s “rendering” and has been doing so for over 30 hours. Been using this app for several years. My ONLY issue is that when I switched from ipod to iPhone the app crashes frequently and I lose my library to try and remember what I had. Anyone have any ideas why? Have plenty memory. Great reading and selections. Thanks for great app. Now I see what the other reviews meant. As soon as I took advantage of the in app purchase the app failed to work. As far as the narrators are concerned, some read well, others are very difficult to understand as they have heavy accents and poor command of the English language. I will be requesting a refund. Love the classics. Amazing to have them wherever and whenever I wish to read them. Thanks for the great App. Good selection. Easy to navigate. Many of the titles are not available on other sites. The app works great. I love that I can read Jane Austen, hp lovecraft, and Shakespeare whenever and wherever I want. 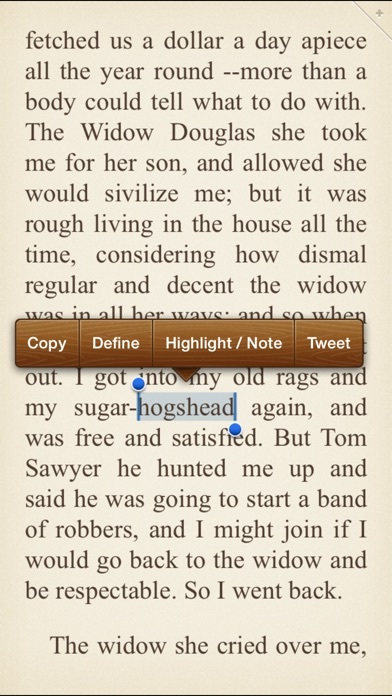 I honestly don't know how I read before this app LOL! I have an IPhone 6, and this app has been freezing up and won't load. Fix this problem or the app is worthless. The same rendering issue that others here speak of. This app is now useless. Pretty good app. I only wish it's range of books was more extensive. I loved all the amazing classic lit and even the new moderns that were being added. However the app won't open anymore! This app used to be great. I've read nearly 100 books in the last two years. However, this is the second time they have had a bug they can't figure out. It causes the app not to open. Currently, it hasn't worked for me in over a month. I tried the latest update; it didn't work. Last time I had to delete the app and download it again. That fixed it but I lost my library, which was very disappointing. If they can get it working again, I'll give it 5 stars. 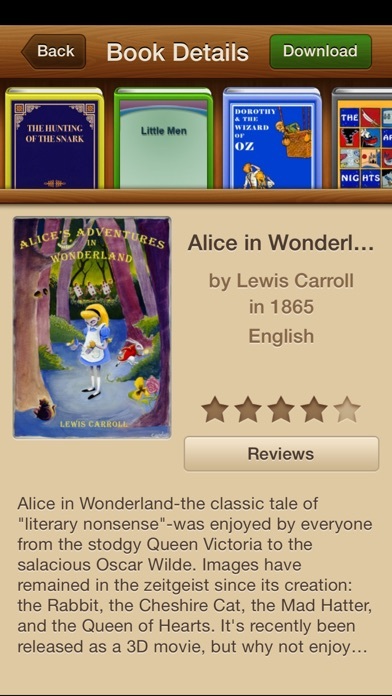 If you like classics, this is the app for you. All those old-timey books and authors you've been curious about are all here. And because it's an app, it's super easy to read and it's with you all the time. Sure, we all have our favorite games to waste time while we're waiting at the doctor's office or bank, it feels a little better to "waste" time reading. I've discovered old authors I'd only heard about. It's great. I used the prior version. Worked great! They changed the rendering. The book spins trying to render it. Doesn't work at all. No stars! They broke it! It worked fine when I first bought it. Now it will not launch. It's worthless. 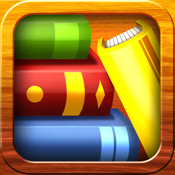 Free classics books - it's great! Books don't render so you cannot read them. I erased and downloaded the app several times and tried everything..How can they put something up here that flat out does not work? I had loved this app, but the update ruined it. It will not render any books. I am so sad. I loved this app before. Please fix the update. Don't download this. It doesn't work. Books won't render so they can be read. Used to be great. Now broken. Like many others I updated the app and am now stuck "rendering" forever. It's a bummer. Previously the app was basic but did all that it needed to do. Now it's not good for anything. Good selection of classics, and quite a variety of other titles as well. Great book for bedtime or relaxing reading. One of my favorite apps. I love it! Apparently the makers of this app tried to make improvements. However, all they have done is make matters worse. The app remains in a perpetual state of rendering and never delivers the books. I am deleting it from my iPhone 6 Plus. The darn thing has been on a white screen saying it's "rendering" a book. This app was great when it was free. Now that I've paid for it, it doesn't work at all. What a rip. Bought the app, said to cost less than a cup of coffee. True especially for the app company. Which in effect sold me the cup without the beverage. The app comes up but won't "render" the book to make it visible. Tried all the normal uninstall reinstall stuff, even contacted support. No response. This is, by far, my favorite app! Update renders this app useless! I used to love this app until the update. Now I get a message that each book must be re-rendered. I could live with that, but the books NEVER re-render. I even left one “open” overnight, and nothing. Then I deleted the app, re-uploaded it, and downloaded one book. Same problem - never renders, never readable. This update needs an update. The entire app is perfect! Very enjoyable! I found some old classics I'd read before and other stories I'd never seen. Good for a Sci- fi fan. I like this app. 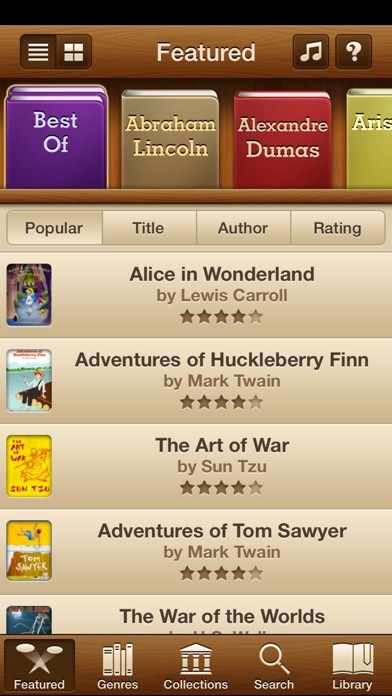 But then it is the only free books app that I have used. It works great. I want my $1 back. Books do not “render” and therefore cannot be read, nor do they successfully send to my email address. There is no way to contact customer service, as it leads to a dead page. The creators of this app are using us for pocket change. Simple, easy to use, and convenient. Well worth the expense. Quite an ample variety of books, and useful tools! I would love to see the audio option for all books and a children's genre. Perhaps some more recent books as well. Nevertheless, I'm truly thankful for so many free books!! Renders forever, after installing IOS 10. This is great. I love reading these classics. I hope they fix this problem. App does not work. This is a treasure trove of free stuff. Who can complain with the price?